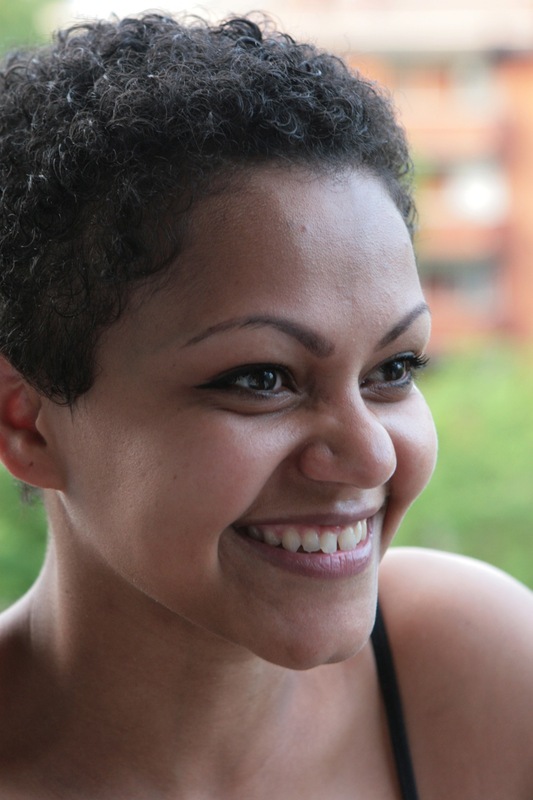 Our Daring Cooks’ December 2012 Hostess is Andy of Today’s the Day and Today’s the Day I Cook! 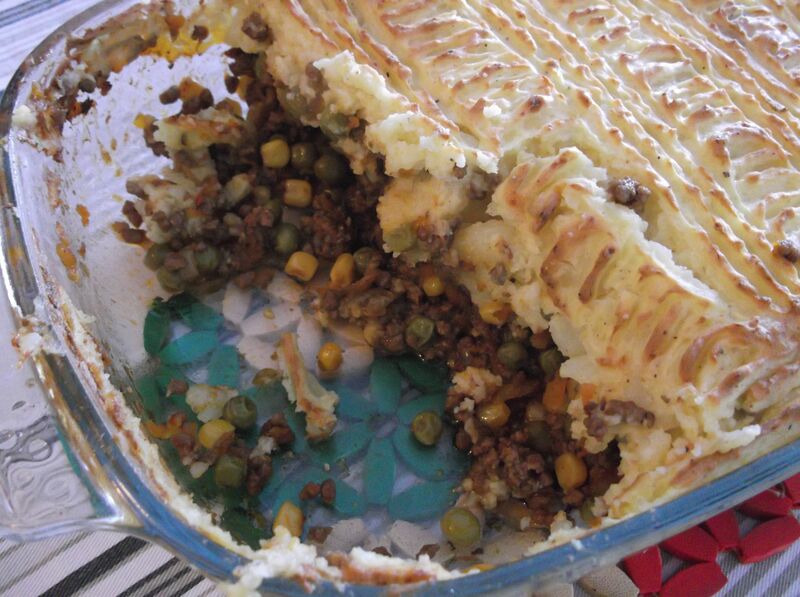 Andy is sharing with us a traditional French Canadian classic the Paté Chinois, also known as Shepherd’s pie for many of us, and if one dish says comfort food.. this one is it! This was one of the dishes in my “to cook” list and I am glad that Andy shared her family’s recipe with all of us. Potato is not part of my diet, I eat the sweet one. But it’s not easy to find here in Italy so I used plain potato. 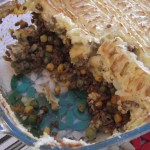 Since I used minced beef and not lamb this recipe is called Cottage Pie. It was so delicious, tasty and moist. 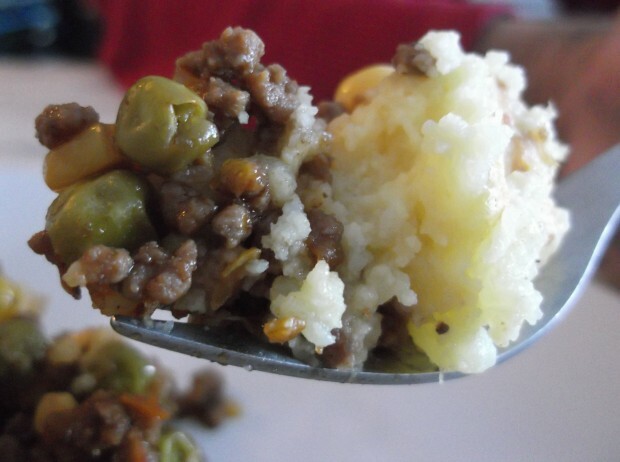 We had it along with Worchestire sauce, to give this dish an extra taste of British cuisine. I really am so curious to try all the partecipant’s recipes, the vegetarian and the fish ones. I usually pressure cook the potatoes as it's the fastest way - 15 minutes. 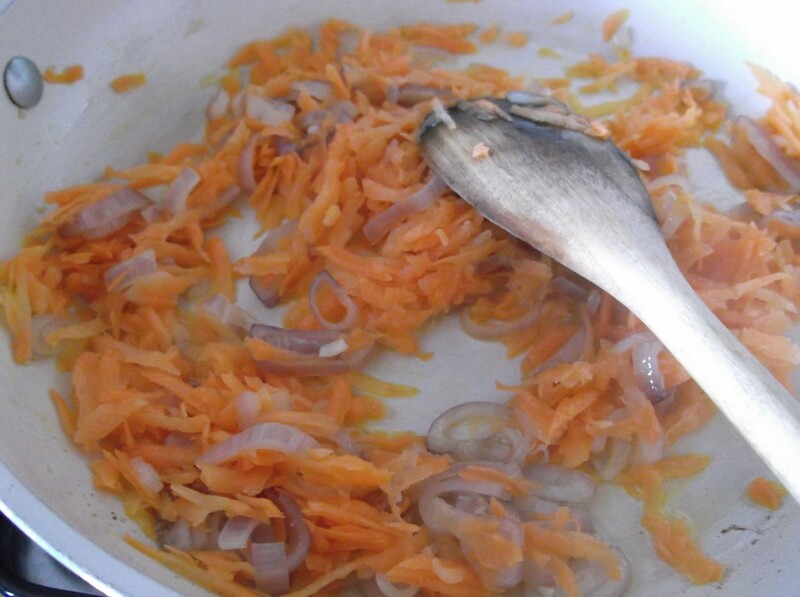 Put the oil in a pan and saute the shallots, carrots and garlic. 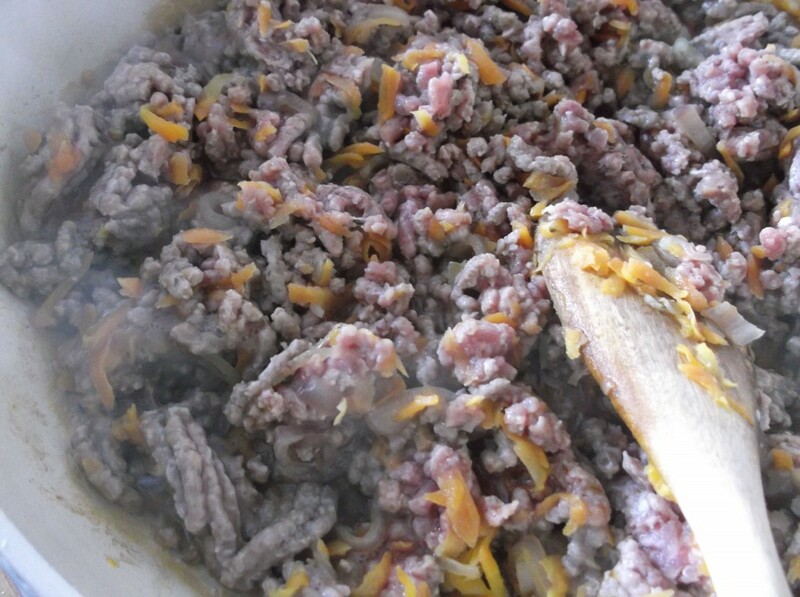 Add the beef and cook for about 10 minutes. 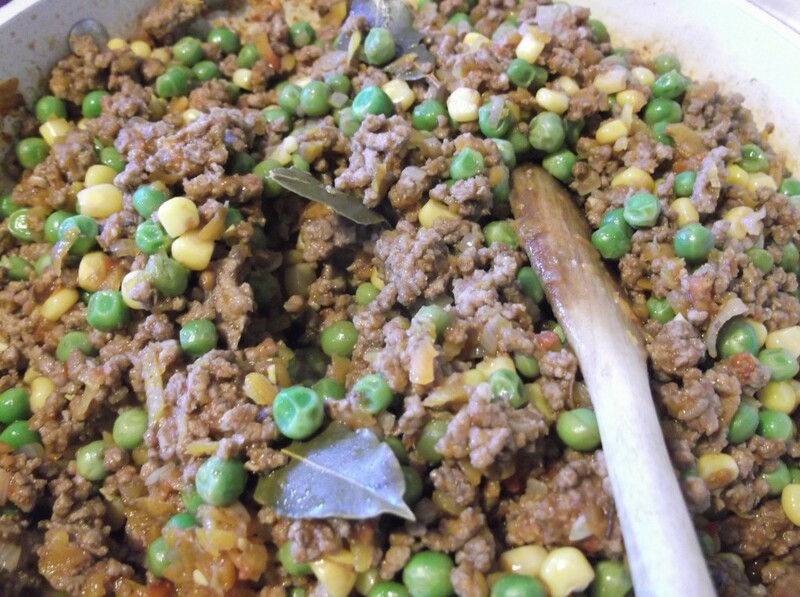 Add the thyme, bay leaves, corn, peas and tomato paste. And let it all cook covered for another 5 minutes (it should be a thick and not runny). Before turning the heat off add the Worcestershire sauce. Turn on the oven to 200°C. Mash the potatoes. Add 2 eggs and a little bit of nutmeg. Mix well until it has a creamy texture. 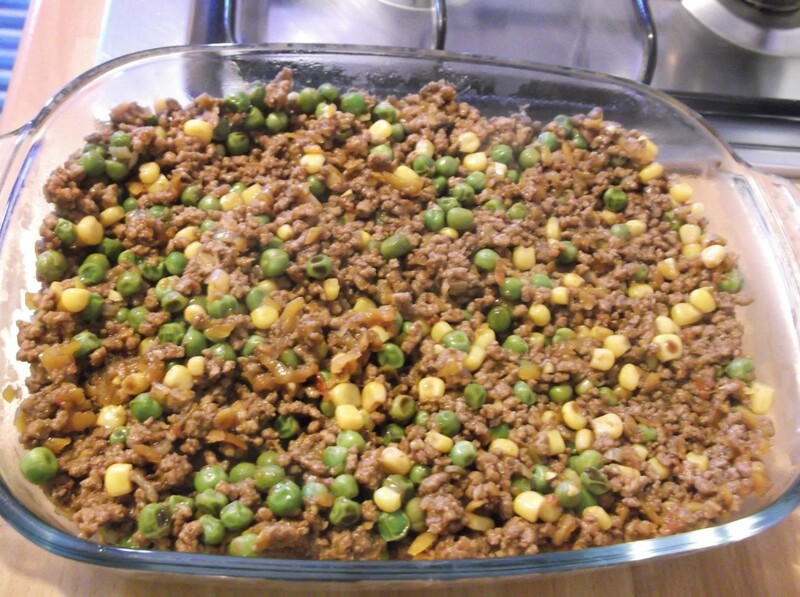 Put the beef in a casserole. 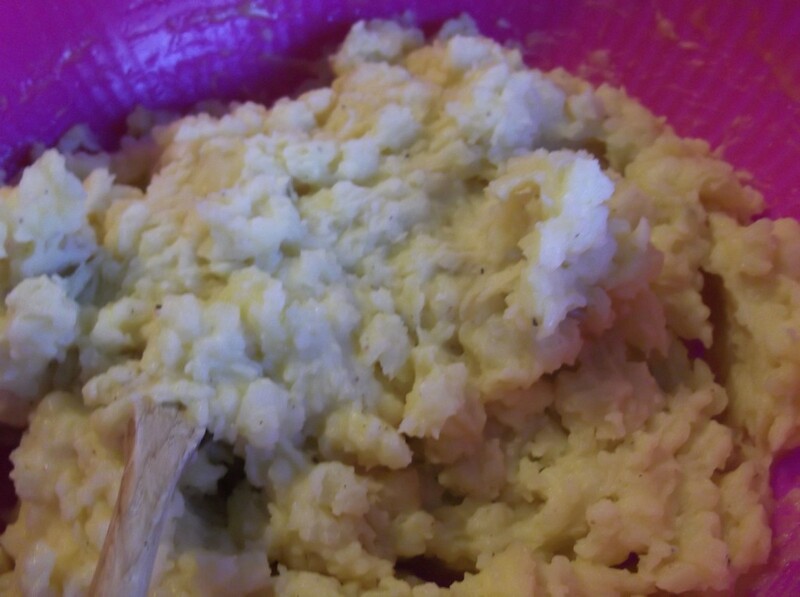 Put the mashed potato on top and use a fork to carve patterns. Put it all in the oven for about 30 minutes until a brown crust starts to form.